Here at SSL Dragon, we always offer an abundance of value deals and discounts on high-quality SSL products. Whether you need a basic Domain Validation certificate or something more intricate such as a Multi-Domain Wildcard SSL, our prices will always be the lowest. If you’re looking for SSL bargains, we’re here to help. 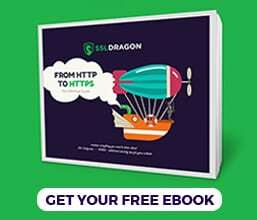 In this article, you’ll find the cheapest SSL Certificates by validation level and the number of secured domains. So, without delay, let’s get right to the best-priced SSL Certificates on the market. We’ll start with the most common and easy to obtain SSL Certificates, the Domain Validation ones. When it comes to securing just a single domain within minutes, no product comes close to Comodo’s Positive SSL price. At just $7.99 per year, this is one of the most popular SSL Certificates worldwide. You can get it in 2-3 minutes, and it is ideal for non-e-commerce websites, blogs or small businesses. Moving to Business Validation certificates, the most affordable option today is Comodo Instant SSL. This certificate will cost you $33,99 per year. A great value for money if you need to secure a medium sized company or an NGO. You will have to submit relevant information about your organization to the Certificate Authority, so it can verify your legal status. The whole procedure usually takes 1 to 2 days. But what if you need an Extended Validation certificate? As expected, here Comodo also excels in offering the best price. You can enable the famous green address bar with company details for just $99.99 per year. The EV Certificate is the ultimate indicator of safety and professionalism. With Comodo EV SSL you can improve your credibility and reputation by spending significantly less than the average. If you’re on a budget and need to secure several domains from your network, then Comodo, again, has the cheapest Multi-Domain SSL Certificates. For Domain Validation certificates, look no further than Comodo PositiveSSL Multi-Domain ($24.99 per year). For Business Validation, Comodo Multi-Domain SSL ($139.99 per year) is the most affordable choice, while Comodo Multi-Domain EV SSL is the lowest priced Extended Validation Multi-Domain cert ($249,99 per year). Sometimes your setup requires you to secure not only the domain but all its subdomains as well. To achieve this, a Wildcard Certificate is necessary. As a rule, Wildcards Certificates are more expensive than regular ones. However, you can still take advantage of some excellent deals. Comodo Positive SSL Wildcard (Domain Validation) is only $79,99 per year, while Comodo Premium Wildcard SSL (Business Validation) sells at $180.99 per year. In some cases, web owners need to secure both multiple domains and subdomains. If you’re facing such a prospect, Multi-Domain Wildcard SSL Certificates can do the job. Even though they are on the pricey side, Comodo still has the cheapest SSL Certificates. Comodo PositiveSSL Multi-Domain Wildcard SSL pricing starts at $249,99 per year for websites requiring Domain Validation. For a Business Validation Multi-Domain Wildcard certificate, you will have to spend a bit more. Comodo Multi-Domain Wildcard SSL costs $328.99 per year. Finally, if you’re a developer who wants to increase the safety and trustworthiness of your software products, a Code Signing certificate is a must. It will protect your digital property such as scripts or codes. The cheapest Code Signing Certificate on the market is Comodo Code Signing SSL at $83.99 per year. Now that you have the cheapest SSL Certificates in one place, bookmark this article for later use. 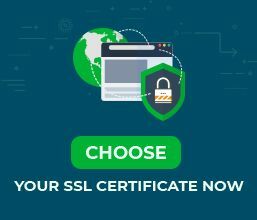 It will come in handy whenever you need a new SSL Certificate for your personal website, business, or a network of sites.